NMI | What Does NMI Mean? 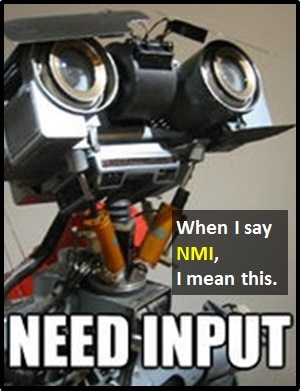 NMI means "Need More Info". The image shows Number 5 from the 1986 film "Short Circuit".